So, I'm scooting down the M3 motorway last week, and a Ferrari California T cruises past. I'm checking out the cool rear three-quarter view as it rumbles by and thinking to myself, "This view reminds me of another sports car." Have a look at the same rear three quarter of the latest Mazda MX5; sure looks very Maranello-esque to me. 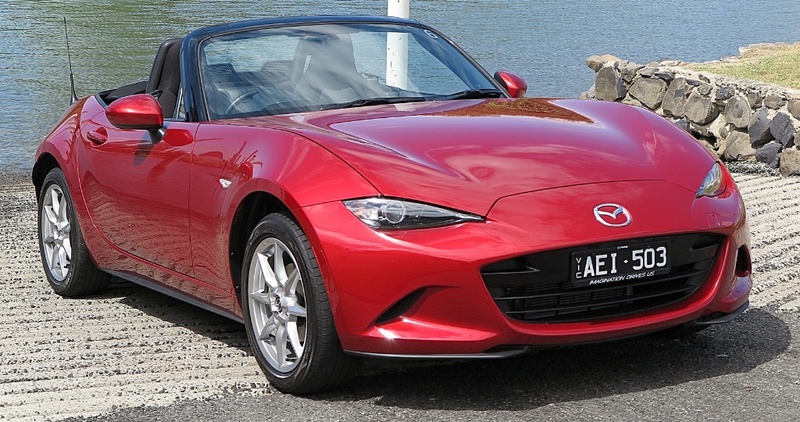 Not only is the new MX5 a great, and honest little sports car, but there's no doubt the Mazda designers had their best Italian eyewear on when they penned the lines. The neatest thing about the Mazda MX5, is you pay a lot less for those sinewy curves and snappy performance.